WITH HONOR, LOYALTY & DIGNITY. 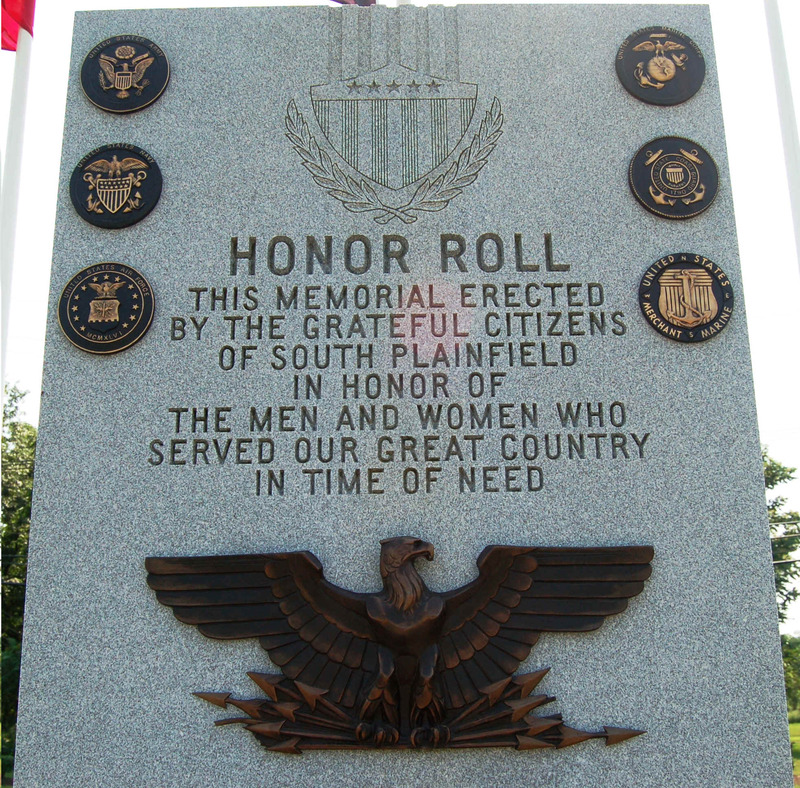 The committee met a number of times and selected the parcel of land next to the South Plainfield Volunteer Rescue Squad building and across from Spring Lake Park as an appropriate site for the relocation of the Military Veterans Monument. It was decided to name this new park “Monument Park of South Plainfield”. The committee wanted to create a park like atmosphere that would attract the members of the community and the public to stop by to reflect and honor those veterans who served our country during times of war. While it was clear that the Military Veterans Monument would be the centerpiece of the park, the committee also wanted to bestow recognition to those individuals who served their community either in the capacity of a police officer or member of the volunteer Rescue Squad. 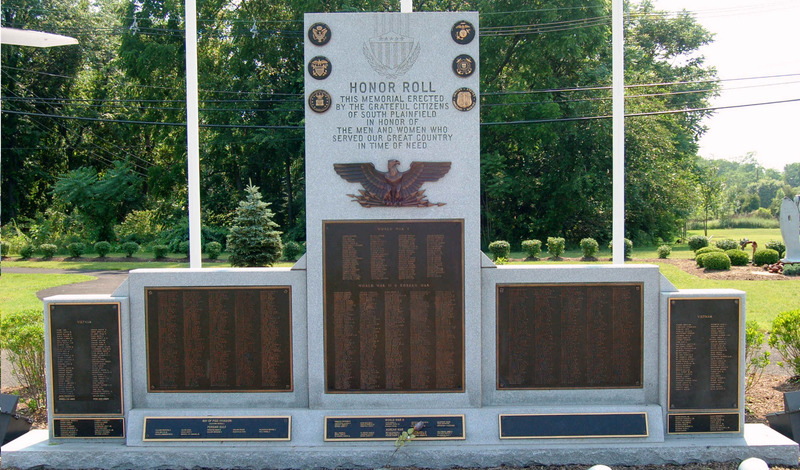 It was decided to include individual monuments dedicated to these two groups as well. During the planning stages, it was decided that each monument would have a walking path leading up to it with park benches placed nearby. Flagpoles would be placed near the monuments so that flags of each branch of the military and those of the Police Department and Rescue Squad could be flown. The Committee felt military artifacts should be included in the plans – artifacts that would grab a passer-by’s attention to draw them into the park. 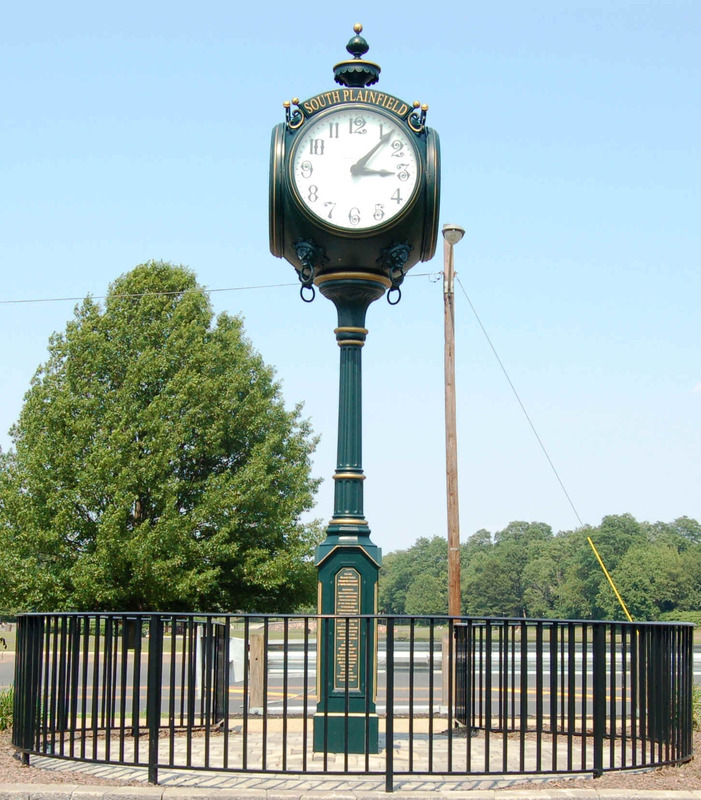 Finally, to further enhance the appearance of the area and to promote a sense of community, the committee decided to include a four faced “Town Clock” in this project, similar to those currently in place in other nearby municipalities. The Verdin Clock Company, headquartered in Cincinnati, Ohio, manufactures these types clocks. The American “street” clocks were an early form of advertisement adapted from the popular public clocks of Victorian England. They first appeared in the eastern United States about 1880. 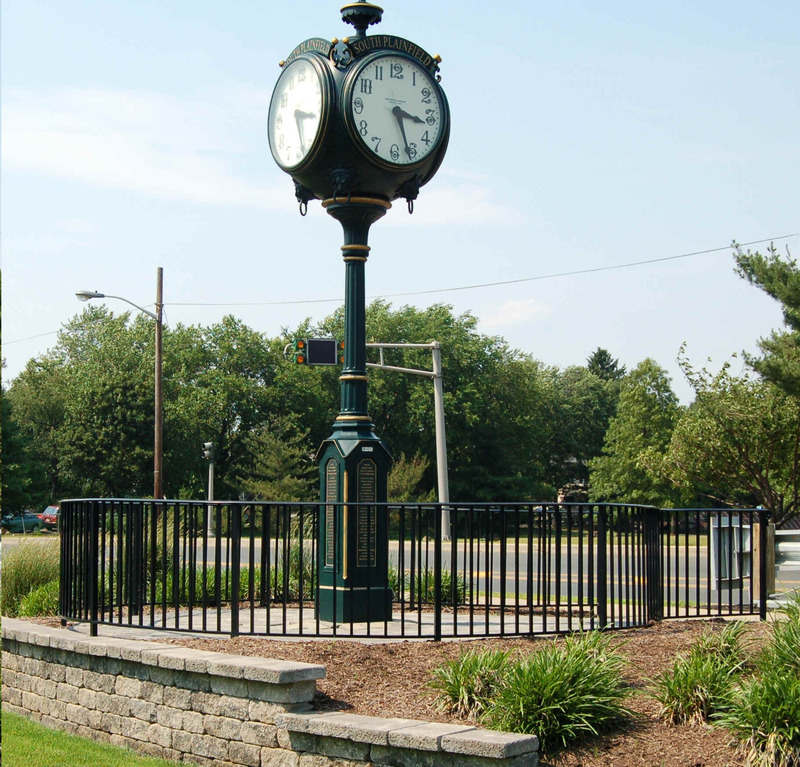 The street clock was designed to stand out against crowded buildings and signage, and they were frequently placed in front of train stations, banks and other public locations. Street clocks were created as both a public service and an attractive way to display the name of a business. To better serve the public, the street clock often played chimes on the hour and its’ gaslight dial was illuminated each night by a caretaker. Today, the nostalgic street clock stands for a respected way of life in America. It is a symbol of our pride in workmanship, our stability and our sense of community. The Verdin Clock, which is manufactured in the United States, features reliable electric works, a control compartment in the base for easy setting and service, an unbreakable face cover, plus an electric eye for automatic night illumination. The faceplates around each dial face reads “South Plainfield”. The committee recognized that a project of this magnitude would be costly. Rather than utilize taxpayer dollars, the committee sought donations to fund the entire project, which was estimated at nearly $100,000.00. Donations of varying amounts were made from both private citizens and businesses within the community..
Those individuals/businesses that donated $500.00 or more would have the privilege of having his/her family name/business name inscribed on a brass plaque that would be permanently affixed to the base of the actual clock. It was also decided to include 10 park benches for visitors to utilize. The benches were financed by donations of $1,000.00 and the donors’ names would be affixed to them. 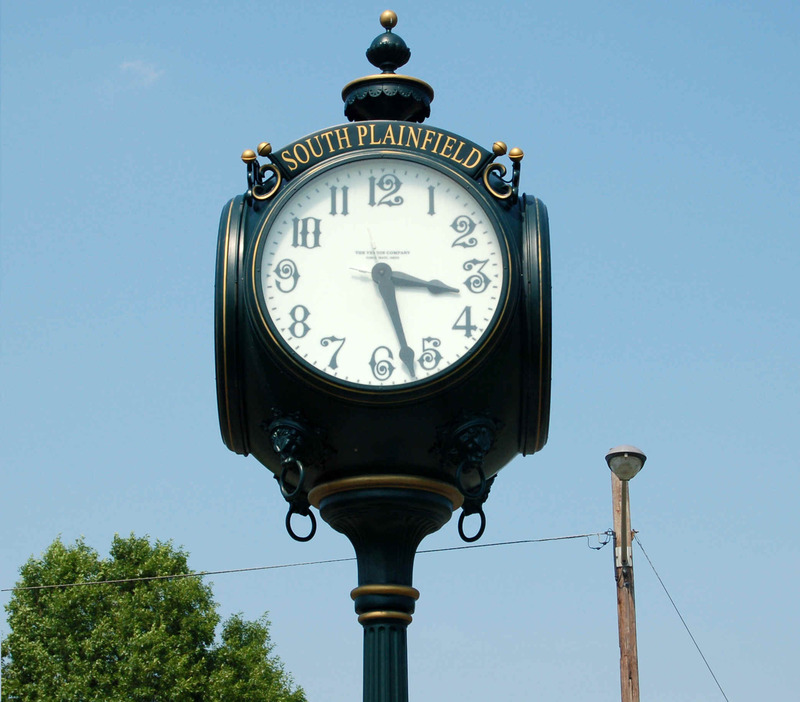 The Borough of South Plainfield has long had a tradition of tradesmen residing within the community. Many of these tradesmen volunteered their labor and materials to help with this project. While their costs may not be reflected in the final tally sheet, their assistance was invaluable. In the spring of 2007, additional enhancements were made to Monument Park. 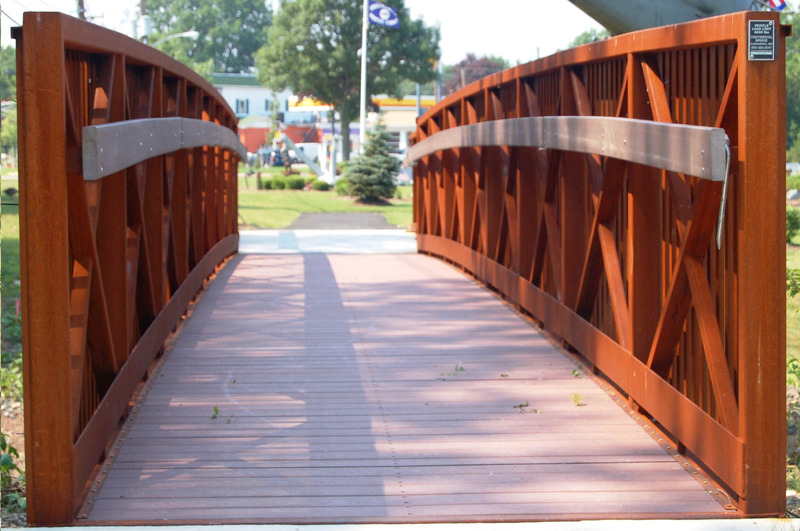 Funding from a grant was secured to install a pedestrian walking bridge that transverses a branch of the Bound Brook, linking Monument Park with the Fire Department Memorial Park. Additional pedestrian paths were also installed, connecting Borough Hall, the Rescue Squad, Monument Park, Memorial Park, the Senior Center and Veterans Park. Also, a combination of grant funds and private donations sponsored the addition of a Civil War Monument to the Park. VETERANS MONUMENT : The centerpiece of the park is the monument dedicated to qualifying military veterans (alive or deceased). This monument was originally located directly in front of Borough Hall. However, many people did not realize it existed, as it seemed to get washed out with the brick front of the Borough Hall building. Hence, it was moved to a more appropriate setting where it could clearly be seen. War on Terrorism in Afghanistan and Iraq. In order to qualify to have a name included, the individual must have veteran status as determined by his/her military discharge papers (form DD-214) and must have been a South Plainfield resident at the time he/she entered the military (as indicated by form DD-214). Located in a semi-circle behind the monument are seven flagpoles: The tallest pole located in the center of the display is reserved for the American flag and the MIA/POW flag. 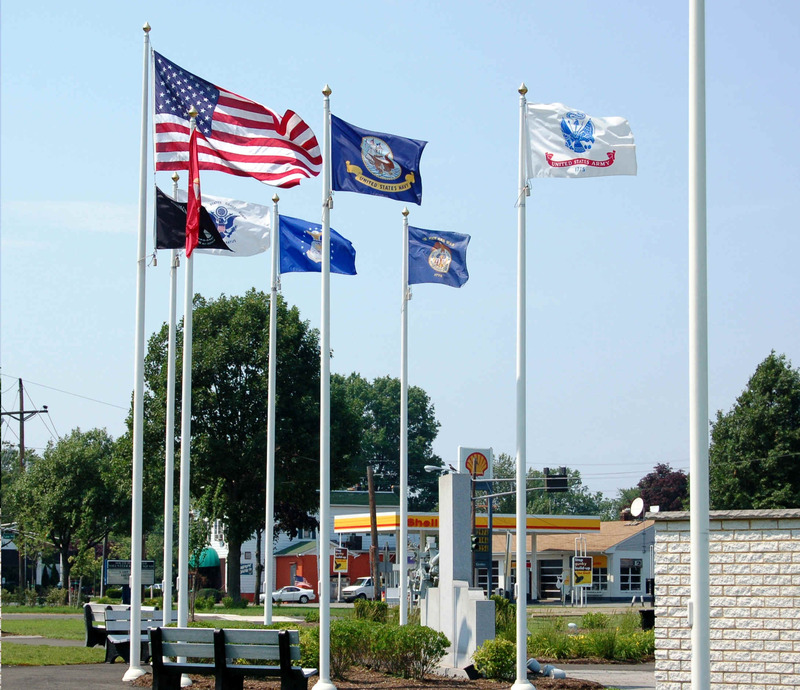 The remaining flagpoles are utilized to display the flags of each branch of the military: Army, Navy, Air Force, Marines, Coast Guard and Merchant Marines. NOTE: Military veterans who were killed in action also have had street names in the Borough named after them. The street signs of such veterans are distinguished by having decals of a gold star and an American flag on either side of the street name. 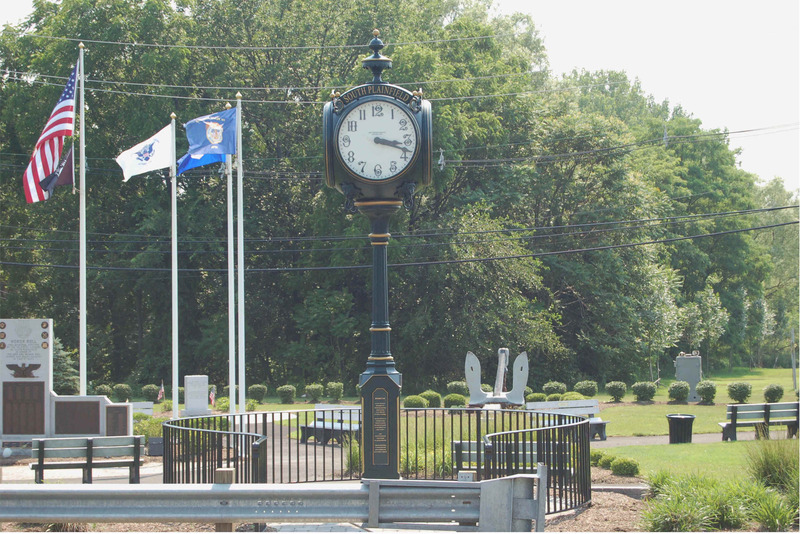 POLICE MONUMENT : This is a white brick monument with brass plates affixed to it and is located to the left as you look at the park, nearest the Bound Brook. 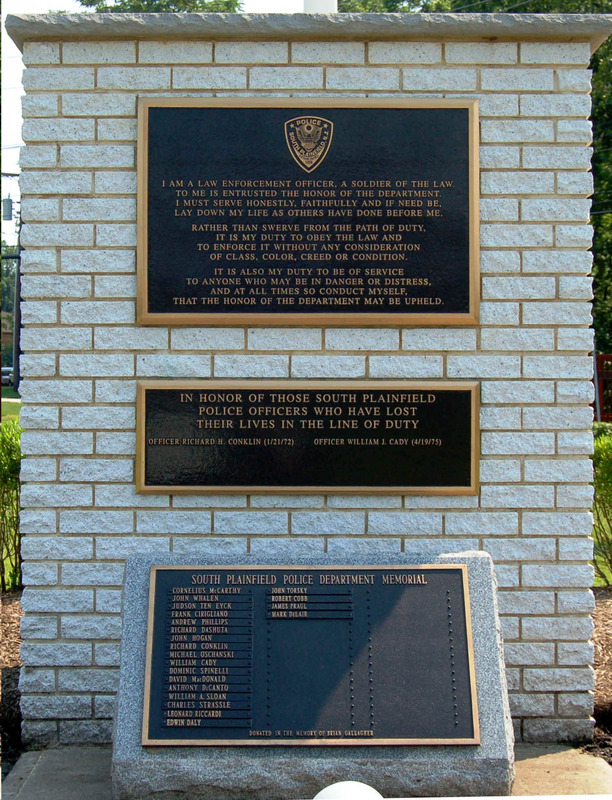 The upper plate has a police officers’ prayer, while the lower plate has the names of South Plainfield Police Officers who were killed in the line of duty. 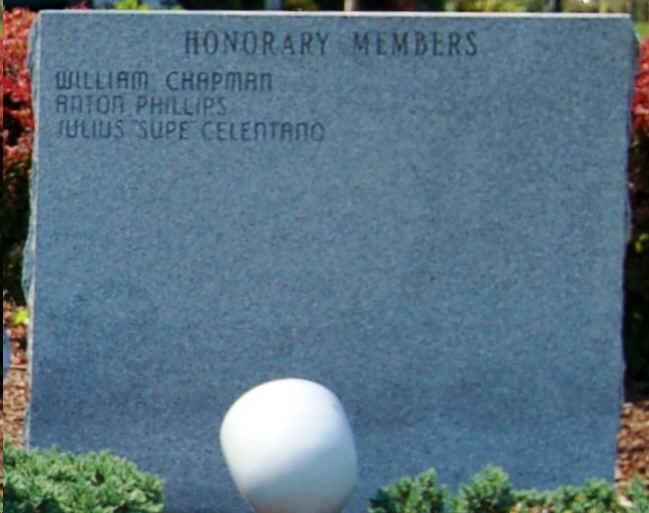 Located in front of the white brick monument is a granite stone monument that has the names of members of the South Plainfield Police Department who retired and have since passed away or those members whose deaths occurred while employed as South Plainfield Police Officers but the deaths were unrelated to their duties. 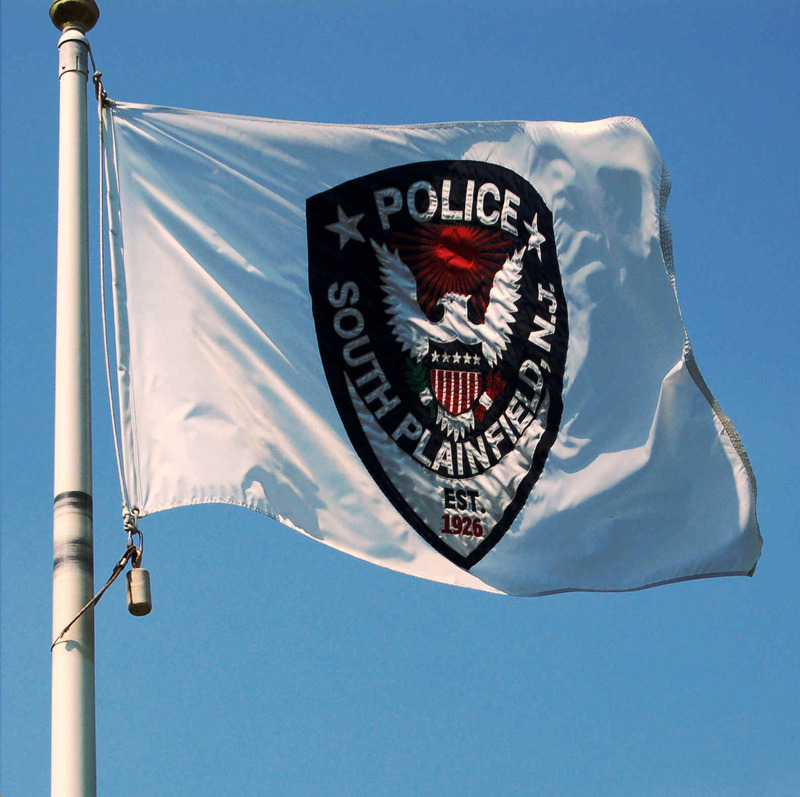 Located behind the monument is a single flagpole which displays the South Plainfield Police Department flag. NOTE: Officers killed in the line of duty also have street names in the Borough named after them. The street signs of these officers are distinguished by having decals of the South Plainfield Police shoulder patch and an America flag on either side of the street name. 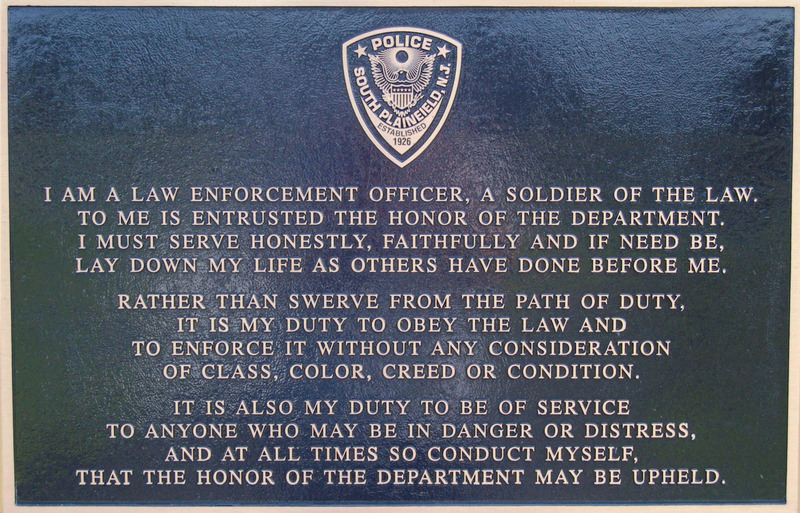 Below is a poem authored by Mr. Dan Marcou, titled "Killed in the Line of Duty"
This poem is dedicated to all law enforcement officers who made the ultimate sacrifice. 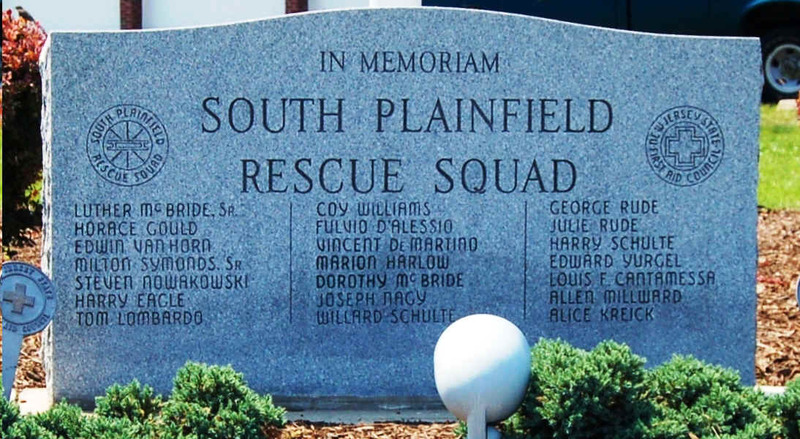 RESCUE SQUAD MONUMENT : This is a three-tablet granite monument located to the right as you look at the park, nearest the Rescue Squad building. 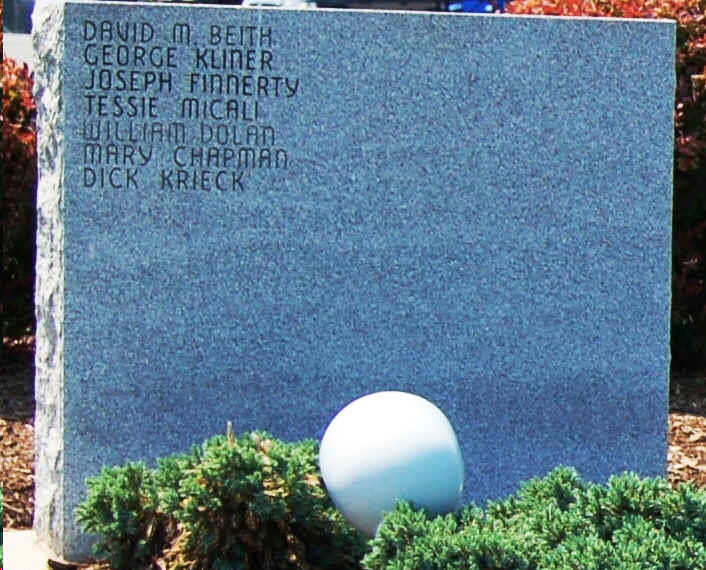 This monument has the names inscribed of those Rescue Squad Members who served and have since passed away. 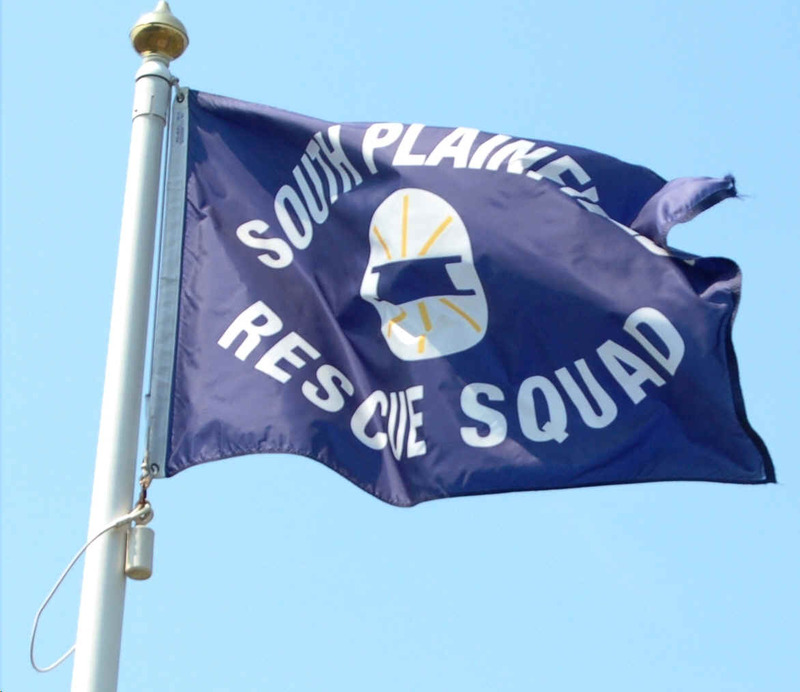 Located behind the monument is a single flagpole which displays the Rescue Squad flag. Civil War Monument. 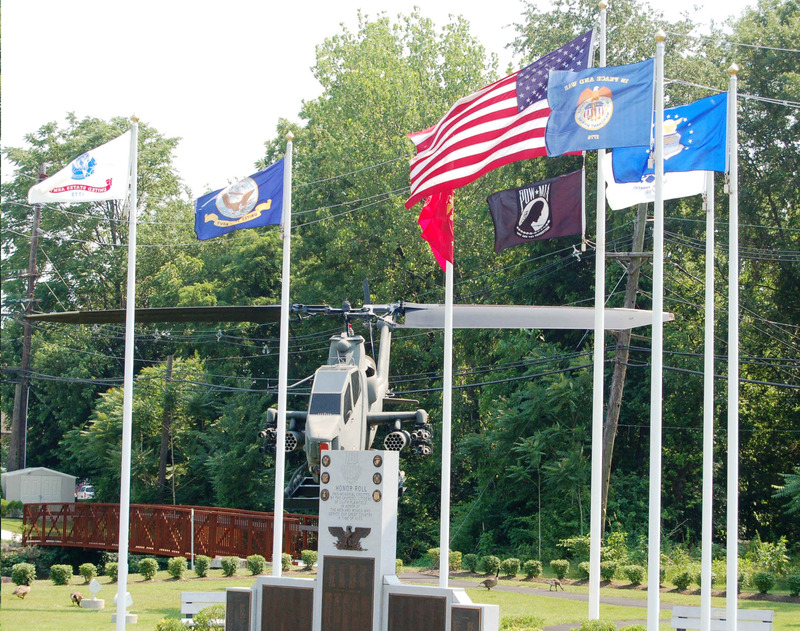 This is a single-tablet granite monument located towards the rear of the park, situated between the ships anchor and the U.S. Army AH-1 Cobra Assault Helicopter. 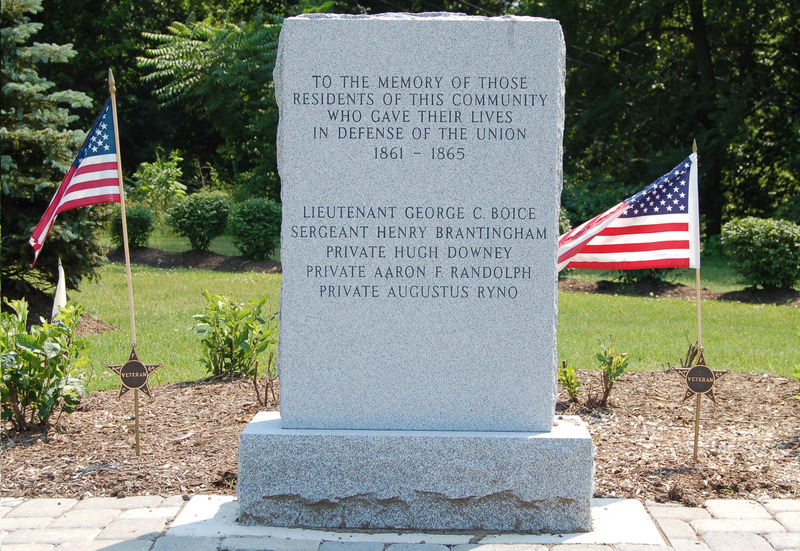 It is a monument dedicated to the five men who were residents in what is now South Plainfield at the time of their enlistment and who died as a direct result of their involvement in the Civil War (1861-1865). As indicated earlier, one of the goals of the committee was to create an environment that would draw people into the park to visit the various monuments. . 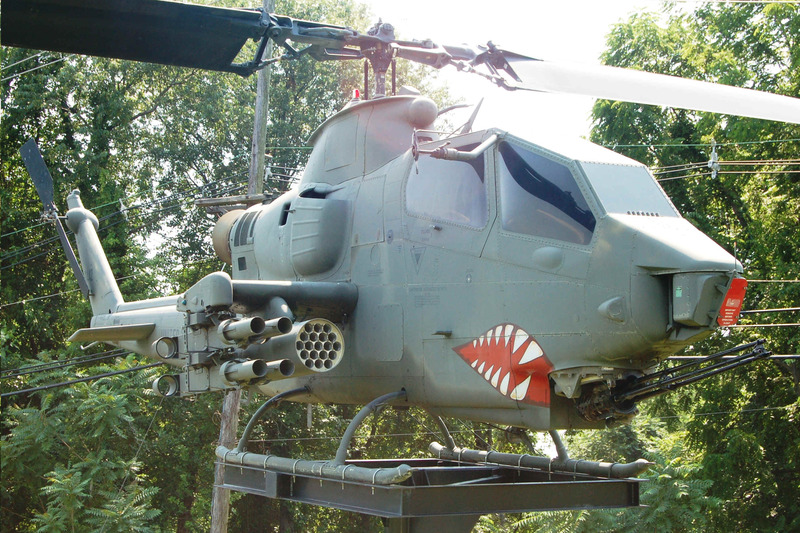 It was felt that the display of military hardware artifacts would help achieve this goal. 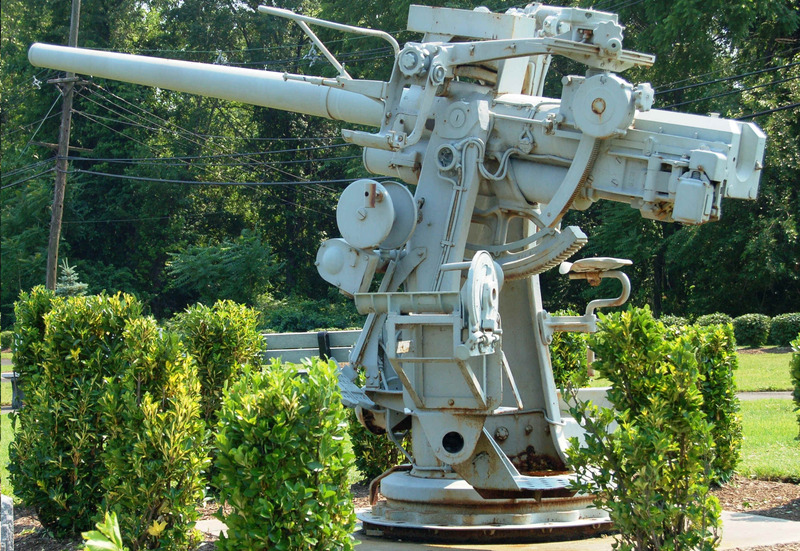 Located to the right as you face the park is a 3” anti-aircraft gun utilized on a United States Navy/Merchant Marine vessel. Efforts are on-going in an attempt to locate the exact vessel this gun came from. 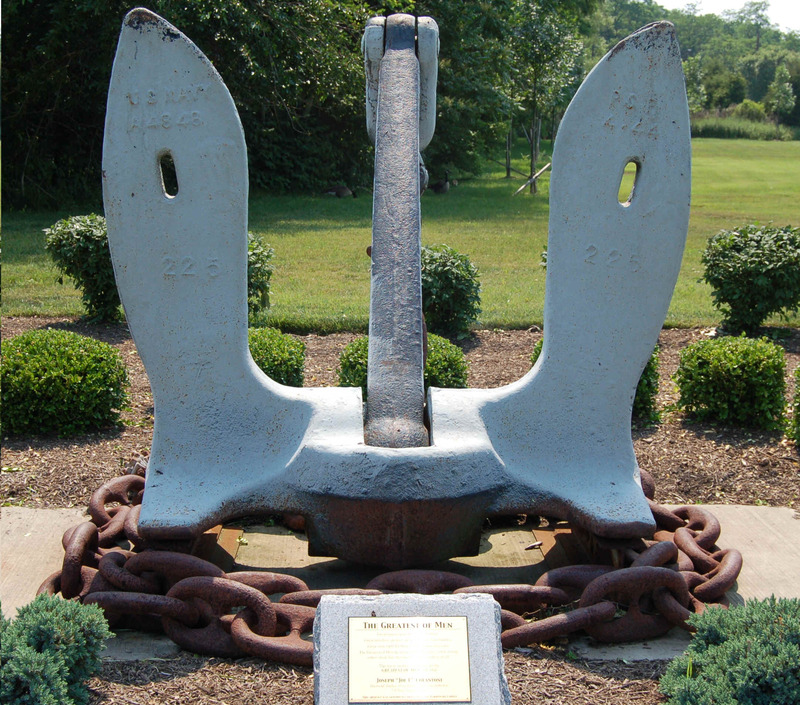 Located in the center to the rear of the park is a ships anchor, again belonging to some type of United States Navy vessel. Efforts are on-going in an attempt to locate the exact vessel this anchor came from. 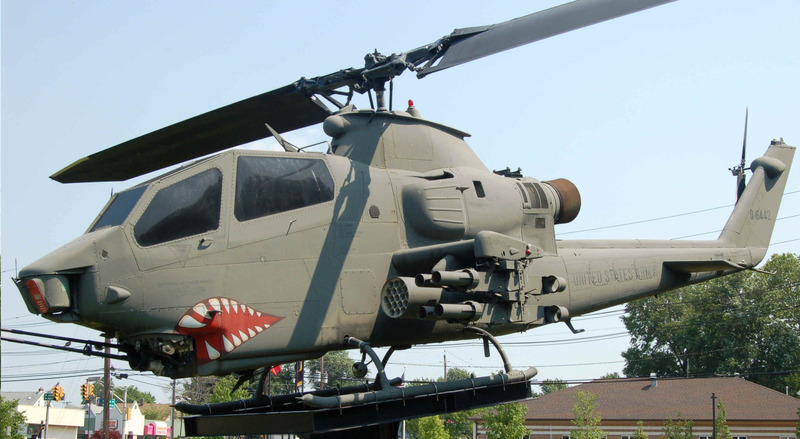 · Located on the pedestal to the left as you look at the park is a U.S. Army AH-1 Cobra Assault Helicopter. This particular aircraft (tail #69-16442) was purchased by the Army in May of 1970. In August of 1970, it was sent to Vietnam to participate in that conflict. 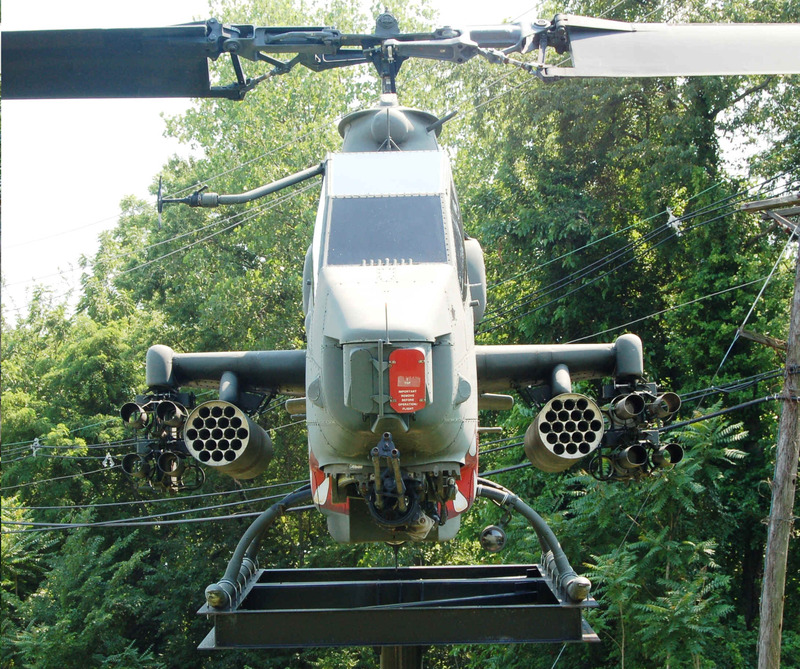 During its’ tour in Vietnam, this aircraft was assigned to numerous units, including but not limited to: 227 th ABAH1 Cav., 227 th BN, various Assault Helicopter Companies (57 th , 361 st , 129 th ), as well as other units. In February 1973, the aircraft was sent home for duty at various bases in the United States. We are still researching the records for the years beyond 1975. Mr. Jeffery Bey – Recycle Inc.